Jim Lawniczak has more than 35 years of experience representing clients in complex corporate reorganizations and bankruptcy and creditors’ rights, as well as commercial business and finance matters. Jim represents secured and unsecured creditors, debtors, liquidators, receivers and unsecured creditors’ committees in all aspects of corporate and insurance insolvency and workout proceedings. His practice also encompasses working with domestic and international clients on transactional matters in the commercial business and finance arena. Jim has successfully handled complex bankruptcies and reorganizations for private and public companies in the steel, manufacturing and retail industries. His work includes serving as debtors’ counsel in the successful reorganization of the Wheeling Pittsburgh Steel Corporation, a company that restructured hundreds of millions of dollars of debt in Chapter 11. Jim also facilitated the 363 sales of Republic Storage Systems Company and Concord Steel Inc.; his guidance enabled them to achieve their goal of selling their businesses, while preserving critical assets and jobs. 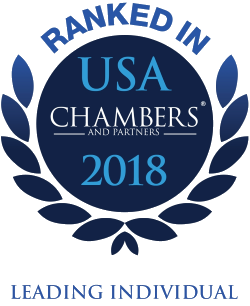 A nationally respected bankruptcy advisor, Jim has been recognized as one of "America's Leading Lawyers" by Chambers USA 2018 in Bankruptcy/Restructuring. Jim also has been selected for inclusion in The Best Lawyers in America© (2005-2019) in the areas of Bankruptcy and Creditor Debt Rights / Insolvency and Reorganization Law, and Litigation - Bankruptcy. He was selected to the Ohio Super Lawyers list in 2007 and again from 2009-2019. Jim is a contributing author to the 16th Edition of Collier on Bankruptcy – the leading national treatise on bankruptcy law – and is the sole author of the multi volume treatise, Collier Lending Institutions and the Bankruptcy Code (2d. ed. ), as well as bankruptcy and related chapters of Lexis’s Asset Based Financing, Business Organizations with Tax Planning (including chapter 154 on alter ego claims), Franchising and Debtor-Creditor Law treatises. Jim was a featured online contributor to the “LexisNexis Expert Commentaries” series, providing insight on significant, high-profile bankruptcy cases, and he has been a featured panelist in Financier Worldwide. He also has published multiple articles in professional and legal journals, and he frequently lectures on bankruptcy and commercial finance issues at professional seminars and conferences. He is a former trustee and program committee chairman of the Northern Ohio Chapter of the Turnaround Management Association. Jim is a member of the Cleveland Metropolitan Bar Association, having served as a trustee from 2005-2009. He is a member of its Bankruptcy and Commercial Law Section (chairperson 2003-2004) and served as chair of its Lawyer-Client Fee Dispute Resolution Committee (2011-2012). He also served as chair (2009-2010) of the Association’s 3R Committee, which directs an award-winning educational program for high school students. He served (2007-2016) as legal advisor to Shaw High School’s mock trial team, which repeatedly advanced to the state tournament in those years. He was a long-time trustee (treasurer 2004-2007) of the Fairmount Center for the Arts. Jim was a partner with the Chicago firm of Mayer, Brown & Platt in its bankruptcy and restructuring group prior to joining Calfee as a partner in 1988.